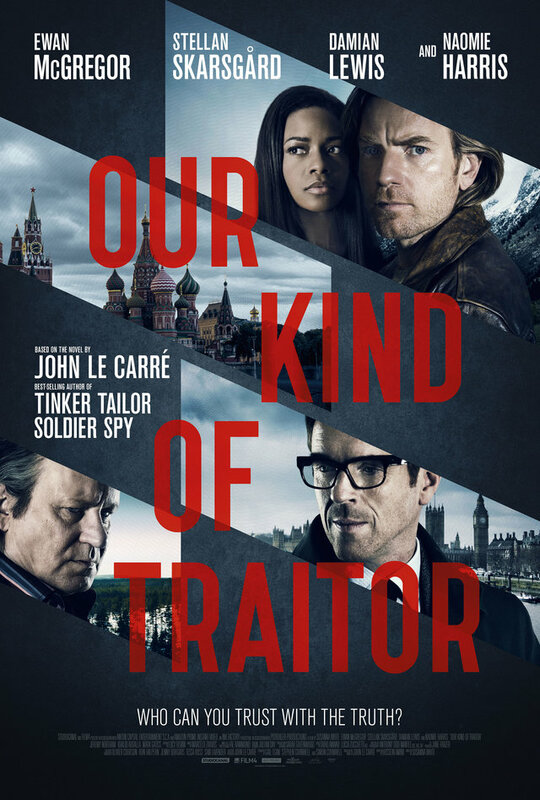 An all-star cast, including Ewan McGregor, Naomie Harris, Damian Lewis and Stellan Skarsgård unite for the taut, twisty thriller Our Kind of Traitor. Based on the John le Carré novel of the same name and adapted for the screen by one of the UK’s most exciting writers, Hossein Amini (Drive, The Two Faces of January), the film is directed by Susanna White and is released across the UK on 13th May. While on holiday in Marrakech, an ordinary English couple, Perry (Ewan McGregor) and Gail (Naomie Harris), befriend a flamboyant and charismatic Russian, Dima (Stellan Skarsgård), who unbeknownst to them is a kingpin money launderer for the Russian mafia. When Dima asks for their help to deliver classified information to the British Secret Services, Perry and Gail get caught in a dangerous world of international espionage and dirty politics. The couple is propelled on a perilous journey through Paris and Bern, a safe house in the French Alps, to the murky corners of the City of London and an alliance with the British Government via a ruthless and determined MI6 agent (Damian Lewis).